Dr. Madeline F Schatz-Harris became Music Director of the Ithaca Community Orchestra in 2017. Born in New York, Dr. Schatz-Harris received most of her musical experience in Los Angeles, California. She received her Bachelor of Music (B.M.) and Doctor of Musical Arts (D.M.A.) degrees with high honors from the University of Southern California. She completed her Master of Music (M.M.) at Indiana University School of Music. Her violin studies were with Josef Gingold, Eudice Shapiro and Henryk Szeryng. Viola studies were with David Dawson, Lillian Fuchs, William Primrose and Milton Thomas. Her conducting mentors were Daniel Lewis, Leonard Slatkin, Michael Tilson Thomas and Paul Vermel. She has studied chamber music with the Alma Trio, Amadeus String Quartet, Beaux Arts Trio, Julliard String Quartet, Lenox String Quartet, Netherlands String Quartet, Janos Starker and Gabor Rejto. She also completed additional studies at the University of Southern California School of Education where she majored in counseling studies. Before moving to Ithaca Dr. Schatz-Harris taught full-time at Hawaii Preparatory Academy from 2003 to 2012. She developed an instrumental music program that included previously non-existent courses: orchestra, band, drum line, beginning strings, guitar class and beginning winds/brass. She also taught Honors Music Theory, Choir and Beginning Music courses. Before that she was a full tenured professor at the University of Alaska Fairbanks, the University of Utah, and Humboldt State University. She was an associate professor of music at California State University at Fullerton and an assistant professor of music at Indiana University. She has also taught at the University of Southern California and the Claremont Colleges in California. 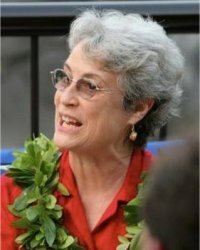 As an orchestra conductor her music directorships have included the Kamuela Philharmonic on the Big Island of Hawaii, the Fairbanks Symphony Orchestra, the Arctic Chamber Orchestra, the Fairbanks Youth Symphony, the South Bend Youth Symphony, the Contemporary Music Consortium, the University of Utah Symphony Orchestra, the Humboldt Symphony Orchestra, the Fullerton Chamber Orchestra and the Northern Indiana Chamber Orchestra. She has guest conducted the London Symphony Orchestra in England on a compact disk. Other guest conducting engagements have included the Sacramento Symphony Orchestra, the Tacoma Symphony Orchestra, the Utah Symphony Orchestra, the New Mexico Symphony Orchestra, the Virginia Symphony Orchestra, the Ballet West Orchestra, the Salt Lake Symphony, the Oak Ridge Symphony Orchestra, the Women's Philharmonic in San Francisco, the Aspen Music Festival Orchestra, the Hartt School of Music Symphony Orchestra, the National Symphony Orchestra Summer Youth Orchestra, the University of Southern California Symphony Orchestra, the University of Massachusetts at Amherst Symphony Orchestra, the Hidden Valley Music Seminars Orchestra, the Idyllwild School of Music and the Arts Choir and the University of Southern California Chamber Singers. As a professional orchestral violinist/violist Dr. Schatz-Harris has played with the Los Angeles Philharmonic, the Los Angeles Chamber Orchestra, the Ballet West Orchestra (concertmaster), the California Chamber Symphony, the Pacific Symphony Orchestra (concertmaster), the Pasadena Symphony, the Kona Symphony, the San Gabriel Symphony (concertmaster), the Carmel Bach Festival Orchestra, the Claremont Symphony (concertmaster), the South Bend Symphony (concertmaster), the South Bend Chamber Orchestra (concertmaster), the Evansville Philharmonic (associate concertmaster) and the Aspen Festival Orchestra. She also spent seven years as a studio musician in the Hollywood recording studios, as well as having played in both the Academy Award and Emmy Award orchestras. For one year she was lead chair violinist at Caesar's Palace and the Desert Inn in Las Vegas. As a violin soloist Dr. Schatz-Harris has played recitals and appeared as soloist with orchestras in the former USSR, the Netherlands, Austria, and with the Detroit, Phoenix, Amarillo, Aspen, South Bend, Bloomington, San Gabriel and Los Angeles Philharmonic orchestras. She, with numerous chamber music ensembles, has won the National Coleman Chamber Music International grand prize five times. She performed with the Jordan String Quartet, the Nova Trio, the Trillium String Quartet, the Coleman Piano Trio, the Caritas Ensemble, the Sitka Chamber Music Festival and the Alaska Chamber Players. Her recordings include Powell Canyons with the London Symphony, Transcendencies with the Fairbanks Symphony, House of Sky with the Contemporary Music Consortium, and Pangea with the Fairbanks Symphony Orchestra. Dr. Schatz-Harris has been on the Grammy Awards preliminary list, has been a finalist in the Exxon Corporation Affiliate Artists Conductors' Program, a Ditson Foundation award winner, a Kent Fellowship recipient, a Danforth Teaching Fellow and has received numerous community awards for her dedication to community service. She has received grants from the National Endowment for the Arts, the Utah Arts Council, the Ditson Foundation, the Fairbanks Arts Association, the Alaska State Council on the Arts, the Getty Foundation and the Danforth Foundation. Copyright © 2019, Ithaca Community Orchestra, Inc.